O Blessed Virgin Mary, Mother of God and our most gentle Queen and Mother, look down in mercy upon England, Thy Dowry, and upon all of us who greatly hope and trust in Thee. By Thee it was that Jesus, our Saviour and our hope was given unto the world; and He has given Thee to us that we might hope still more. Plead for us Thy children whom Thou did receive and accept at the foot of the Cross O sorrowful Mother. Intercede for our separated brethren that in the one true fold we may all be united under the chief shepherd of Christ's flock, and that by faith and fruitful in good works we may all deserve to see and praise God together with Thee in our heavenly home. Amen. Pray for our country, for the new prospective Government, for healing and unity in our land, for the Queen and for the conversion of our land to the Holy Catholic Faith. The brave decision of the country in the EU Referendum will undoubtedly have serious consequences for the people of the United Kingdom and for Europe. Amid the jubilation many are expressing are very sad and angry people who express their disappointment with disdain and contempt for the country and the decision that has been made. And pray for George Soros. I expect he made another fortune yesterday, but having backed and funded very heavily the Remain campaign, all the money in the world won't make up for losing one of the most 'valuable' member states in the crumbling European project. May God bless and heal our land and restore as a precious and gleaming jewel to the Blessed Virgin Mary, her Dowry, England. Congrats, Bones. VERY happy about the vote and the rising tide of nationalism. O, and how can any Catholic lament leaving the EU given that such a move succors Subsidiarity. 'How can any Catholic lament leaving the EU...?' This one does! The future here is now very uncertain as we move into uncharted waters. Brighton and Hove actually had 69% voting for Remain so I am not alone down here. This Brexit attitude is one more in line with the Protestant reformation rather than the Catholic concept of Christendom. 56 After the unity of the human race was shattered by sin God at once sought to save humanity part by part. The covenant with Noah after the flood gives expression to the principle of the divine economy toward the "nations", in other words, towards men grouped "in their lands, each with [its] own language, by their families, in their nations". 57 This state of division into many nations is at once cosmic, social and religious. It is intended to limit the pride of fallen humanity united only in its perverse ambition to forge its own unity as at Babel. But, because of sin, both polytheism and the idolatry of the nation and of its rulers constantly threaten this provisional economy with the perversion of paganism. Is the EU a modern version of Babel? There's an enormous difference between a Pope elected by a few cardinals but guided by the Holy Spirit and a political institution run by unelected bureaucrats. You just can't equate Christendom with the European Union. Apart from anything else, Christendom was made up of sovereign states. There was no equivalent of the European Commission. Henry V was quite happy to go to war with France. Nobody told him he wasn't allowed to. And no bureaucrat told Henry V what size of tennis balls he could use. Nor the materials the English army could use for making arrows. But speaking of Henry V, perhaps a Te Deum is appropriate to celebrate the defeat of the forces of anti-democracy by the sturdy warriors of our island. Hail to you brave Brexiters, all 17,410,742 of you. Once again, we have an army who have defeated the forces that thought they were invincible. Not St Crispin's Day, perhaps, but it must have been some saint's day. Congratulations and happy Independence Day! And to Pelerin above, the British nation sailed into uncharted waters for centuries and did just fine. All of us must pray for Europe and our own country, bad times are coming, everywhere in the continent, may the Blessed Virgin intercede for us! RJL. Dear Pelerin Only in collectivism is uncertainty putatively precluded. And how is it that what y'all face is uncharted? What about Britain prior to the nightmare of EU being realised? And how does an AntiChristic collective (The EU) deserve to be compared to a united Christendom when men feared God and would not legislate against the Commands of Jesus Christ, King of Heaven and Earth? If only ABS could experience FLexit- and vote Florida out of the crummy collective that does not accept Subsidiarity and orders us around. Royal St Joseph, chosen by God the Father to be His Son’s earthly Father. Look down upon England, Mary’s Dowry. See the House of Nazareth is broken. Do not look upon this poor sinner and turn away, but through your most powerful intercession, take your heavenly tools and rebuild your Spouse’s House and give it back to Her more resplendent than it was before. 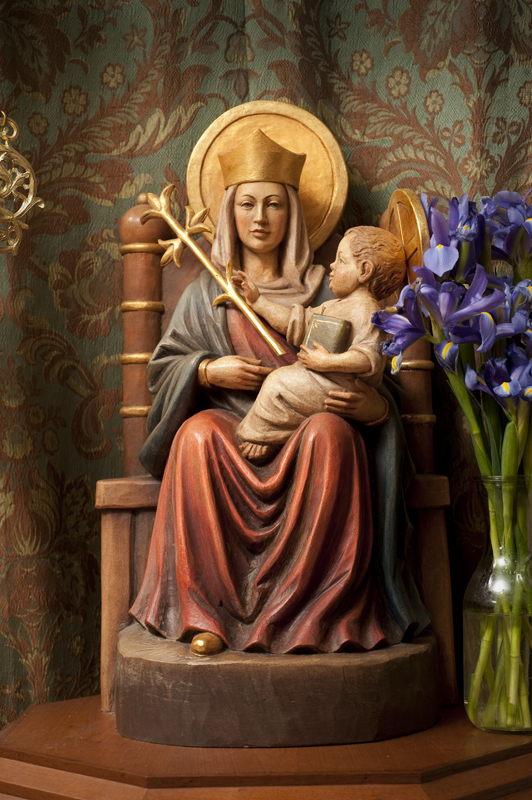 Restore to the Mother of God what is rightfully Hers, so England may once again be a light to the Nations, where Christ the King reigns over us, and His Mother is seated at His right Hand as Our Immaculate Queen. Glory Be. O Christ the King, reign over us. Glory Be. O Mary, Immaculate Queen, intercede for us. Glory Be. O Royal St Joseph, hear us through our Guardian Angel. Amen. Bones, do remember that our country is not England it is the United Kingdom and includes Wales, Scotland, Northern Ireland, Man and probably others. I have expressed the view that the Brexiteers are running away. The young people of Britain have belatedly woken up and realised that their future has been stolen from them by Oldies who will be dead and in heir urns while the young, as demonstrated in their tens of thousand in Parliament Square yesterday, still have decades ahead of problems dealing with this flight. You young people out there, do not accept this!